Jack Reacher is having a bad day. It would be a dumb idea to make it worse. Reacher sees a West Point class ring in a pawn shop window. It’s tiny. It's a woman cadet’s graduation present to herself. Why would she give it up? Reacher was a West Pointer too, and he knows what she went through to get it. All he wants is to find the woman. He’ll have to go through bikers, cops, crooks, and low-life muscle. If she’s ok, he’ll walk away. If she’s not … he’ll stop at nothing. Best advice: stay out of his way. 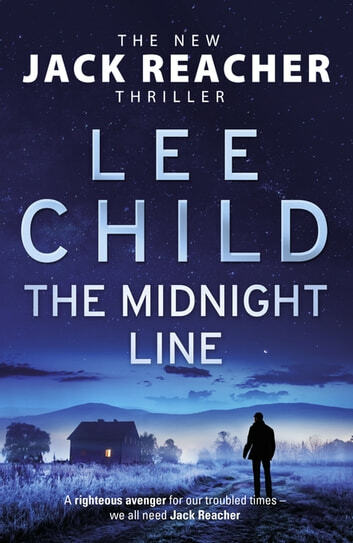 Although the Jack Reacher novels can be read in any order, The Midnight Line follows on directly from the end of Make Me. Over before it begun, could be twice as long and still you'd want more. Seemed to have a few loose ends though compared to normal and vehicle locations seemed to jump, maybe just me, still seems a long way off to the next one. Another great read - from the first page to the last page the story was engaging. The plot was both complex and easy to understand. 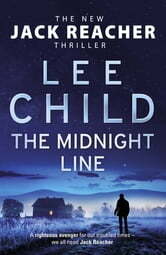 The characters had great rapport - with the humour Lee Child injected into this book, adding another dimension. Both my husband and I have read this book and thoroughly enjoyed it. Will be waiting with bated breath for the next instalment. A very good read. I love the Reacher books. This one was a slightly different theme but was all the better for it. Loved it. A real reacher, perfect tone of voice. page turner, but in a relaxedkind of way.